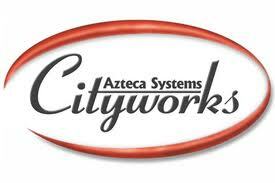 Azteca Systems Inc. announces the release of Cityworks 2012.1, making the care of critical infrastructure, capital assets, and property more simple and straightforward than ever. Offering progressive enhancements and new compatibility with Esri’s ArcGIS, Cityworks 2012.1 further solidifies Cityworks’ key presence as the proven and genuine GIS-centric management solution. Cityworks 2012.1 includes updates to Cityworks Server AMS and PLL, Web Services (APIs), Desktop, and Anywhere. New capabilities and powerful tools provided by the release will heighten customer experience with Cityworks, including enhancements to Heat Maps and the Condition and Maintenance Score Tool for better asset management. In addition, an Equipment Changeout function has been added that allows administrators to set up forms by asset type for copying, editing, adding, removing, or replacing related objects, such as electric or water meters, pumps, motors, electrical devices, etc. Cityworks 2012.1 is fully compatible with ArcGIS 10.1 and supports ArcGIS Online AGOL. Cityworks 2012.1 provides support for ArcGIS 10.0 SP5 and ArcGIS 10.1, Windows 7 Professional, and Microsoft Office 2007 and 2010. Since 1986, Azteca Systems Inc. has been providing innovative GIS-centric Management Solutions to agencies that own and care for critical infrastructure, capital assets, and property. Built exclusively on Esri’s ArcGIS technology, Cityworks is a powerful, scalable, and affordable solution for asset management, permitting and licensing. Time-tested and proven technology, Cityworks is Empowering GIS™ at more than 450 user sites around the world.